As summer nears, my wife is outside in her garden all the time. I have no idea what she is doing out there. Well, that is not actually true; I know she is ‘working’ in the garden, but I don’t know what that really entails. She comes inside with her hands, apron, knees, and shoes a mess. But, she also walks through the front door with a sense of contentment on her face. 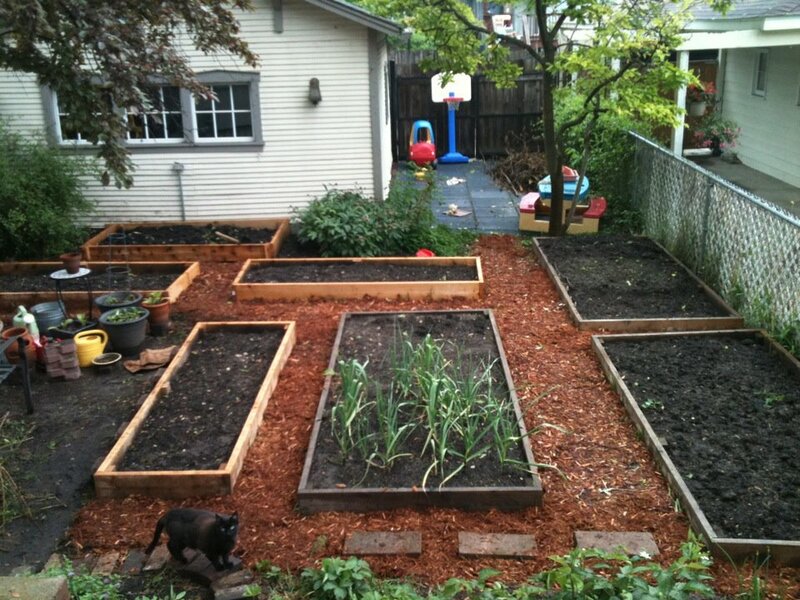 Creating a vegetable garden is not my bag and I don’t have much desire to work out there. But, I am excited that the whole of our back and front yard will be used for a productive purpose. Though not as interested as her in urban farming, I do recognize the importance of her motivation. She loves planting seeds, watering them, watching them grow, pulling weeds, and eventually, harvesting her rewards. I appreciate that by doing this, she is fomenting rebellion. By being a producer, she is opposing the ubiquitous life of the American conspicuous consumer. Think about this for just a minute. How many Americans today actually produce a physical object? Unbelievably few. I think you could perhaps say painters, writers, poets, playwrights and other artists. How many of these people make a living from their production? Even fewer. If we think artists are rare, that is nothing compared to the lost class of artisans that once marked the Western world. Artisans were expert producers of goods for the commonweal. They fashioned an artifact through all the steps of creation. The loss of the artisan is due to our mass-produced society, and modern service economy. People working in cubicles, both management and employees, ‘produce’ essentially nothing. America’s biggest employer, Wal-Mart, produces nothing but self-proclaimed low prices. Their employees specialize in our most ‘revered’ trait, customer service. Even those few Americans who still work in a factory setting produce few goods individually. Sure, as a team, they may manufacture a product, but as one individual, each man and woman on the line has his/her own specialized role. Not one person produces an end in itself. Not one person even knows how to produce something as simple as a graphite pencil. Production as an end in itself is what my wife practices in the garden. And so, this is why my wife loves to work in the garden. She is producing food, by herself. A poverty of goods in her life is not her concern; the production of food ensures that her soul is bursting with riches. Complete production as an end in itself leads her to self- fulfillment. The question then becomes, what do you produce? Gas, and not the stuff that cost $4.69 a gl. I’m talking about the gas that occurs when I eat vegetables like the ones that are produced by your wife. It’s a vicious, yet satisfying cycle really. Thank your wife for producing. I produced a child. Does that count as “actually producing a physical object”? I also am a SAHM, does that count as “making a living from my production”? lol. Seriously though, I believe I fit in this category you are talking about. Nothing is better than being able to produce something with your own hands. Having someone PAY you for it on top if it? Even better. Your productive gardener is a great description of what people mean when they discuss “the good old days” and simpler times. It is true that we produce very little, yet that is what we are most proud of in our personal and national accomplishments. As the protestors walk by my office window these last three days, are they protesting for more production or for more consumption equality? Maybe the answer is not that simple. Maybe it is. Thanks for the reflection back to the “good old days”. 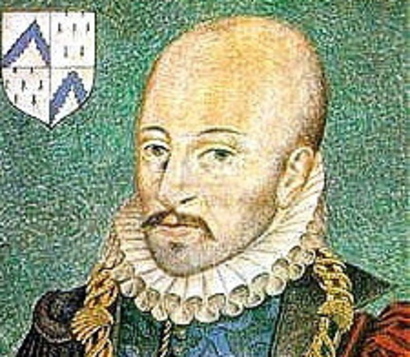 Oh, I totally agree, and I love Montaigne, too. I think this speaks to the proliferation of “crafty” subcultures. People want to feel connected to their things, not because the items are expensive, but due to a deeper value. I think about how much I love wearing scarves that have been made from me by dear friends. I cannot help but think of the energy that friend devoted to me, the selection of yarn in a shade I’d like, their time and care. How lovely to be the recipient of such a rare gift! Exactly Trish. That is what I am talking about. And, Shannon, producing a child and raising a child is completely within the bounds. I think it’s interesting how we – educators – have to battle against this idea (“Americans are told we will find the ‘good life’ by consuming. Inner peace, happiness, wisdom are no longer searched for in work, learning, or meditation”) in the classroom. There is the idea that college leads to a degree which leads to a job which leads to money which leads to consuming which leads to happiness. And I don’t need to tell any of you how flawed that is. In one class I teach, I often share the story about how the job in which I made the most money was also the job I was least happy with. I was able to buy just about anything I wanted (within reason) and yet I was miserable all the time, because the money and consumption didn’t counter how much I hated the job and the complete lack of self-fulfillment and pride in making a difference or producing something of value.